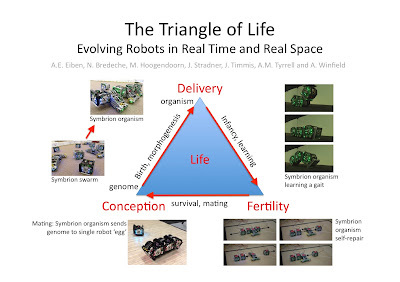 Why aren't there more intelligent mobile robots in real world applications? It's a good question, and one I'm often asked. The answer I give most often is that it's because we're still looking for that game changing killer app - the robotics equivalent of the spreadsheet for PCs. Sometimes I place the blame on a not-quite-yet-solved technical deficit - like poor sensing, or sensor fusion, or embedded AI; in other words, our intelligent robots are not yet smart enough. Or I might cite a not-fully-developed-capability, like robots not able to cope with unpredictable (i.e. human) environments, or we can't yet assure that our robots are safe, and dependable. Last week at euRathlon 2013 I realised that these answers are all wrong. Actually that would be giving myself credit where none is due. The answer to the question: why aren't there more intelligent mobile robots in real world applications was pointed out by several of the presenters at the euRathlon 2013 workshop, but most notably by our keynote speaker Shinji Kawatsuma, from the Japan Atomic Energy Authority (JAEA). In an outstanding talk Kawatsuma explained, with disarming frankness, that, although his team had robots they were poorly prepared to use those robots in the Fukushima Daiichi NPP, because the systems for deployment were not in place. The robots are not enough. Just as important are procedures and protocols for robot deployment in an emergency; mobile infrastructure, including vehicles to bring the robots to the emergency, which are capable - as he vividly explained - of negotiating a road system choked with debris (from the Tsunami) and strained with other traffic (rescue workers and evacuees); integration with other emergency services; and, above all, robot operators trained, practised and confident to guide the robots through whatever hazards they will face in the epicentre of the disaster. In summing up the lessons learned from robots at Fukushima, Shinji Kawatsuma offered this advice - actually it was more of a heartfelt plea: don't build robots, build robot systems. And, he stressed, those systems must include operator training programmes. It was a powerful message for all of us at the workshop. Intelligent robots are endlessly fascinating machines, with all kinds of difficult design challenges, so it's not surprising that our attention is focussed on the robots themselves. But we need to understand that real world robots are like movie stars - who (despite what they might think) wouldn't be movie stars at all without the supporting cast, camera and sound crews, writers, composers, special effects people and countless other departments that make the film industry. Take the Mars rover Curiosity - an A-list movie star of robotics. 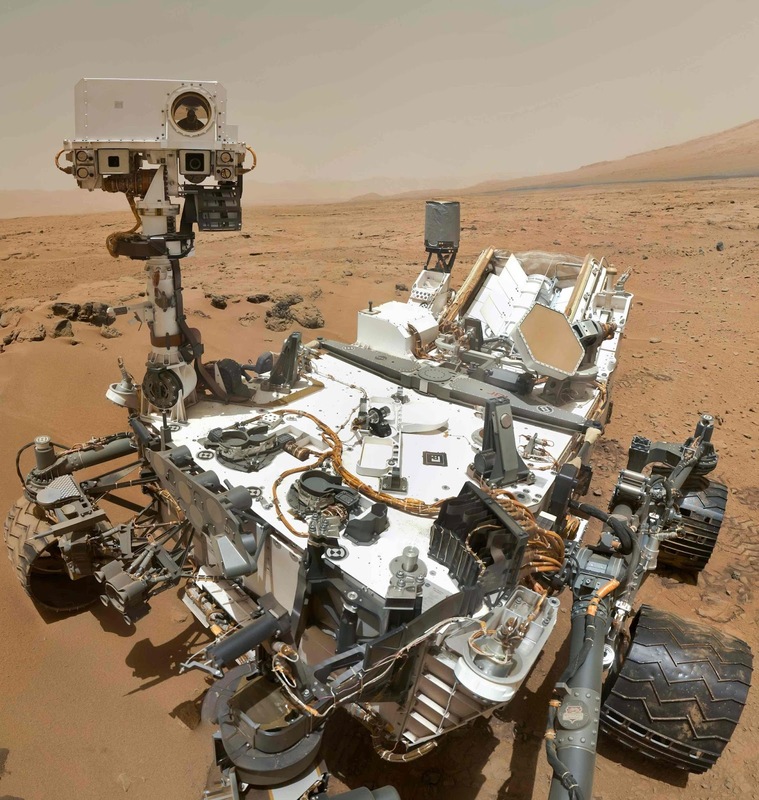 Curiosity could not do its job without an extraordinary supporting infrastructure that, firstly, delivered her safely to the surface of Mars and, secondly, allows Curiosity's operators to direct her planetary science exploration. Curiosity: an A-list movie star robot (NASA/JPL-Caltech/MSSS), with a huge supporting cast of science and technology. So, to return to my question why aren't there more intelligent mobile robots in real world applications. The answer is plain. It's because without supporting systems: infrastructure and skilled operators integrated and designed to meet the real world need, a robot - regardless of how innovative and intelligent it is - will never make the transition from the lab to the real world. Without those systems that robot will remain no more than a talented but undiscovered actor. Hans-Arthur Marsiske, The use of robots in Fukushima: Shinji Kawatsuma Interview, Heise online, 25 September 2013 (in German). K Nagatani, S Kiribayashi, Y Okada, K Otake, K Yoshida, S Tadokoro, T Nishimura, T Yoshida, E Koyanagi, M Fukushima and S Kawatsuma, Emergency response to the nuclear accident at the Fukushima Daiichi Nuclear Power Plants using mobile rescue robots, Journal of Field Robotics, 30 (1), 44-63, 2013.